When Governor Jerry Brownshirt of California signed SB277 into law in 2015 he gave California parents an unconstitutional choice between their child receiving the so-called “free public education” promised by the California Constitution, or, their family exercising the universal right to Informed Consent by interposing their conscientious objection to vaccines. The California governor violated basic norms of civilization. He enlisted not just the government’s schools, but even private and religious schools in his plan to force children to receive dozens of “unavoidably unsafe” and uninsurable vaccines. The state pretends to recognize our traditional right to freedom of choice, but it actively seeks the abrogation of that right. Control over most humans had been maintained for millennia through the use of religious and, later, political ideologies inevitably justifying the dominance of the few over the many, even when the controllers pretend to speak for, and protect, the "majority". Through the use of what early freedom theorists such as the American abolitionist Lysandor Spooner saw as the great monopolies created by political power, this strict social control dominated human society for most of its existence. These included the monopolies over conscience embodied by state religions, over the bodies of certain people (e.g., chattel slavery; prisoners, war captives, caste system members, etc. ), or the property rights of approximately half of the species (the legal “infirmities” of women, etc.) and over all property through royal claims to “own” the land and economic activities of a territory (feudalism and mercantilism). But in more modern times the structure of bureaucracy itself has been redesigned to become, not just to serve, the control system. Consider, for, example, how the regulatory structure of the Military Draft was used in the USA during the 1960s and ‘70s to “channel” students into certain fields, such as science, engineering and weapons design, which were considered of benefit to the state. Now we see the same process at work with the incessant demands for ever more vaccines, and for forcing adults and children to receive all the vaccines that crony corporatist-tainted science can concoct without regard for either scientific validation or personal rights. That is when we began to see the authorities passing off the mandates to allegedly private actors for enforcement. While we will see, below, how this privatizing of tyranny works to increase censorship and impose unlawful financial controls, the vax mandate gambit remains a primary example of this political process. So the FDA does not have to look further than the Patent when approving a vaccine for use. First the FDA accepts the drug company’s self-serving clinical trials which underlie the Patent and then it approves the vaccine. Then the CDC, another agency of the HHS department, “recommends” the use of said vaccine. The CDC committee that does so is completely corrupted by crony corporate interests. So much so that they had to change the rules to allow the conflicted members to vote nonetheless, or there would never be a quorum. One example: a so-called “ethicist” and physician from a famous children’s hospital, was allowed to vote to “recommend” a vaccine in which he had a Patent interest; his vote netted him tens of millions of dollars. Meanwhile the US government, deeply involved in approving and disseminating vaccines, through mandates and sponsored propaganda, owns financial interests in over 50 vaccine Patents. 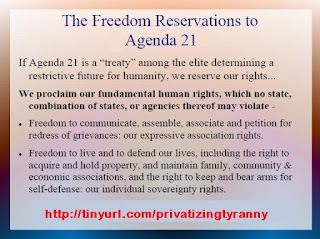 After the CDC “recommendation” is voted the privatization of the mandate starts, with some local governments issuing mandates, but with private hospitals requiring staff to be vaccinated, even staff members who never have patient contact. Similarly schools join in the rush to increase their vaccine levels (as higher vaccination rates translate into more money for the institution) – in one particularly egregious example from 2007, Prince Georges County, Maryland revaccinated hundreds of children literally at gun point to prevent the loss of hundreds of thousands of dollars a month in Federal subsidies. The school system claimed it had lost the vaccination records of nearly a thousand children. We now see a disturbing trend where private employers join the mandate madness although the businesses have nothing to do with health care. Even a “…diminished expectation of privacy does not diminish the… privacy interest in preventing a government agent from piercing the… skin. And though a blood test conducted in a medical setting by trained personnel is less intrusive than other bodily invasions, this Court has never retreated from its recognition that any compelled intrusion into the human body implicates significant, constitutionally protected privacy interests…” Missouri v McNeely 133 SCt 1553. As a side note, McNeely teaches us that unless you assert your right to Informed Consent, it will be deemed waived. Assert your conscientious objection to forced vaccination with the Advance Vaccine Directive card, http://tinyurl.com/AVDcard - an advance medical directive that must be respected by ethical health care professionals. It’s not just vaccines where the tyranny is privatized. One can conceive of the so-called Affordable Care Act (or its potential “single payer” or even market-oriented replacements) as a law enfranchising insurance industry control over health care decisions, abrogating our right to Freedom of Choice in Health Care. Thus, government “death committees” and rationing of health care are privatized with the insurance industry acting as the depopulationist government’s surrogate. Nor is it just health care where the tyranny is privatized. Consider the private prison system – almost the only “growth” area of American cheap-labor industrial production. But that is an issue for another time. Here, we focus on health, free speech and trade. Our Freedom of Speech is under a world wide web of attack. While various authoritarian states make no effort to hide direct censorship of speech, the “advanced democracies” are more subtle. Germany, with no absolute constitutional protection for Free Speech, is contemplating empowering Internet Service Providers to refuse service to “hate groups.” At the same time the large international corporate controllers of the Internet, such as Facebook and Google, are already escalating content controls to enforce “political correctness” – if you don’t follow the Party Line, you cannot be heard. These supposed private actors are actually exercising government authority. They are the privatized agents of control. They exercise this control on several levels. Each of these mega-corporations is, in fact and in law, “a creature of the state.” It is created by registration with government that gives it authorities (such as limited liability to third parties) which it could not exercise as a truly private association. Yet another example of privatizing tyranny is Operation Chokepoint, the illegal US government program empowering financial institutions to deny service to otherwise lawful activities (including activities by private persons, nongovernmental organizations and businesses) where the government has not banned the activity but merely disfavors it. While the body makes CBDs, the most abundant source of CBDs from food is found in Hemp. CBDs do not get you high (that’s what the THC in Hemp does). Nonetheless, without explicit Congressional authority, the DEA, FDA and FTC are treating CBD as though it were contraband, as though government could have power to ban a normal part of our bodies. (King Kanute commanding the tide to reverse itself comes to mind here). Thus we see how government, ever seeking to extend its control over our lives, uses its crony corporate partners to impose detailed controls that would be politically impossible to impose directly. 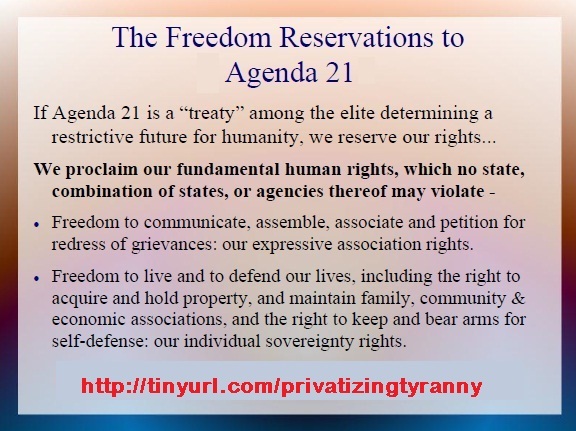 Internet Censorship, forced medical treatment, banning commerce... all privatized tyranny. Exercise your expressive association communication rights here: http://TinyURL.com/AVDcard.